Lithuanian rabbi and preacher; born at Vasilishok, government of Wilna, in 1809; died at Kobrin, government of Kovno, Sept. 2, 1876. He was a pupil of Benjamin, chief rabbi of Grodno. As rabbi he officiated in various towns, including Diretchin, Lida, Novie Zhagory, and Kobrin; and on the holy days of Rosh ha-Shanah and Yom Kippur he acted as cantor. He was one of the preachers whose sermons always attracted large audiences. 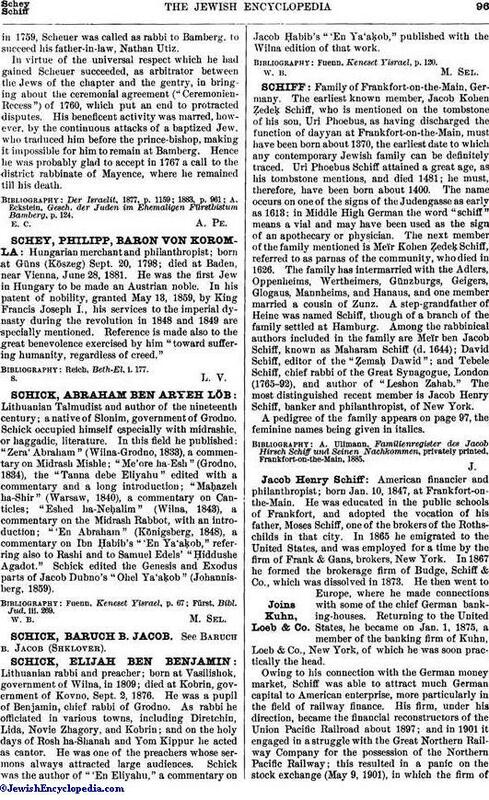 Schick was the author of "'En Eliyahu," a commentary on Jacob Ḥabib's "'En Ya'aḳob," published with the Wilna edition of that work. Fuenn, Keneset Yisrael, p. 120.